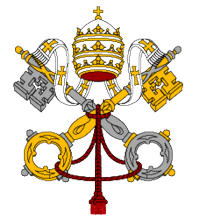 Do you want to know more about the Catholic faith? Do you have family members, friends, or co-workers who have expressed interest in the Catholic Church? Are you married to a Catholic and want your entire family to worship together? Have you been baptized in the Catholic Church but never received First Reconciliation, First Communion, or Confirmation? The Rite of Christian Initiation of Adults (RCIA) program is for all these situations. When unbaptized individuals come to some knowledge of Jesus Christ and consider their relationship with Jesus Christ they may be attracted in some way to the Catholic Church. For some, this process involves a long period of searching; for others, a shorter time. Often, contact with people of faith and a personal faith experience lead people to inquire about the Catholic Church. After a conversation with a priest, or RCIA director, the person may seek to become a Catechumen. Such a person will stand amidst the parish community and state that he or she wants to become a baptized member of the Catholic Church. The parish assembly affirms this desire and that person joins the catechumenate. The period of the catechumenate can last for as long as several years or for a shorter time. It depends on how persons are growing in faith, what questions they encounter along the way, and how God leads them on this journey. During this time, the catechumens consider what God is saying to them in the Scriptures, what changes in their life they need to make to respond to God’s inspiration, and what Baptism in the Catholic Church means. When a catechumen and the priest and the parish team working with him or her believe the person is ready to make a faith commitment to Jesus in the Catholic Church, the next step is the request for baptism. Even before the catechumens are baptized, they have a special relationship to the Church. Persons who are already baptized and who wish to become members of the Catholic Church will also receive spiritual guidance and spend time in considering the call to join the church. A period of discernment through prayer, reflection on the Scriptures and Catholic teaching will lead up to full membership in the Catholic community. 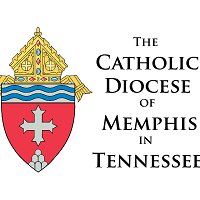 Any person seeking to become a member of the Catholic Church may contact St. Therese the Little Flower parish at (901) 276-1412.